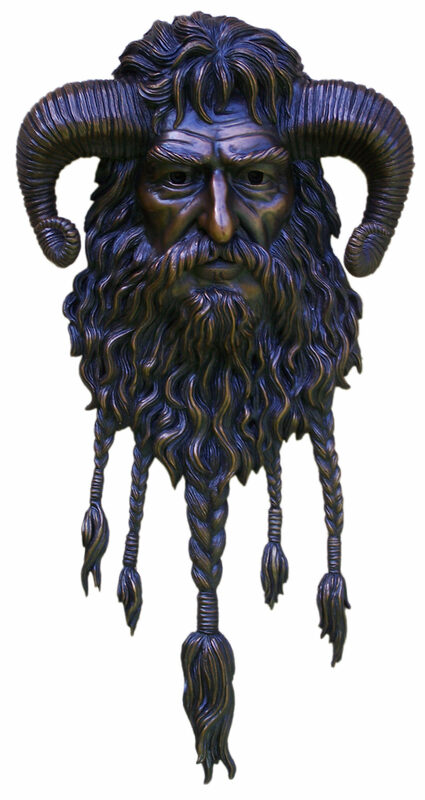 Hand sculpted bas-relief Bacchus Hanging Wall Sculpture (or Dionysus) was cast in bronze. This piece is a perfect wall ornament for interior design or exterior decor. This bronze bas-relief sculpture portrays the head of Bacchus, the god of wine. When called Dionysus, he is also the god of the grape harvest, ritual madness, fertility, theater, and religious ecstasy. This great liberator frees his followers from self-consciousness, fear and the oppressive restraints of the powerful. For your convenience, we have created a listing on Etsy with additional purchasing information. Make this exquisite Bacchus hanging wall sculpture your own. 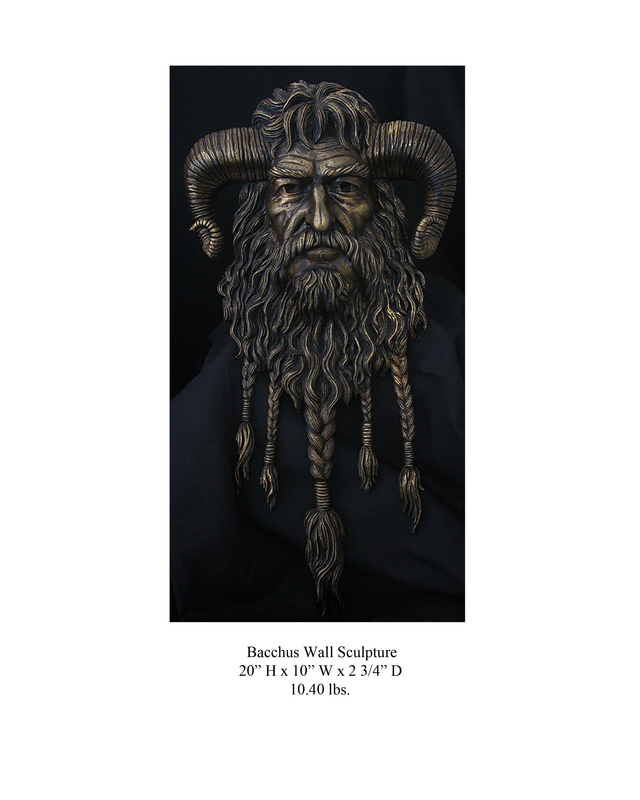 Bacchus, the unspoken guardian of forest dwelling satyrs and centaurs will be right at home as an outdoor home ornament or indoor wall hanging.. This one of a kind piece is immediately available in cast bronze with a classic patina. Custom patina available upon deposit. Commissioned works inspired by this piece are always welcome.